Reserved A SUPER RARE Authentic Antique Early Art Deco Handmade 14k White Gold (tested) Engagement Ring with Gemologic Certified 1.77ct Old Euro Center Diamond in J color VS2 clarity (Appears White and Eye Clear). Perfectly shaped Old Mine Cushion cut's measurements are 7.10x6.30x5.00 mm. Classic and Feminine mounting is a state of the art creation, with wonderful Engraving Details throughout, accented with 6 Single Cut Diamonds, total estimated weight is 0.12ct in G-H color, SI clarity. 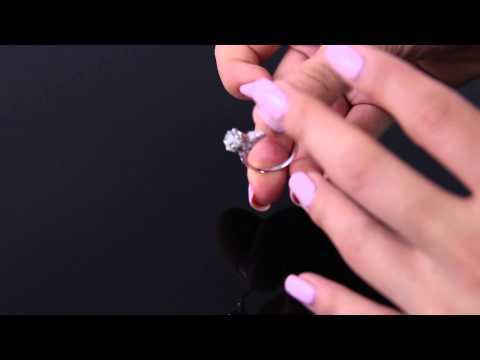 This ring will take your breath away! Finger size 8, can be re-sized. We offer FREE sizing with purchase of any of our art deco vintage rings. The band tappers approx from 4.54mm to 1.58mm on the bottom. Sits high from the top of the finger: 9.56mm. The weight is 3.38 grams, Solid. Super Vintage condition, minor evidence of wear in form of tiny scratches to the metal, Original Antique condition. Cleaned, Consistent with age, Ready to wear. Please buy with confidence. We have a large selection of art deco vintage engagement rings.